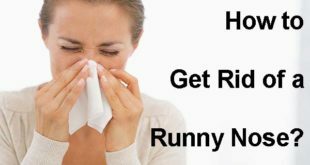 Home / Home Remedies / How to Stop Sneezing? In many cultures, people often refer sneezing to a process of getting rid of all the elements that are stuck in the nasal hair and irritating your nose. So they believe that if your sneeze, it means the body is getting rid of those irritants and which is good sign. But what if you are in a midst of a conversation with someone and you sneeze start sneezing all of a sudden. This is ruin the communication process and will also put a negative impact on the other person. While sneezing may be considered harmless, it actually has a few significantly unwanted effects on your daily life and of course on the body. Every one of us has experienced sneezing and considers it as a normal process of the body. But you need to pay more attention when you sneeze repeatedly or frequently at one moment. There is a list of variables involved in the triggering of sneezing. The environmental change is the very first cause to trigger sneezing at the first place. For instance, people are more likely to sneeze when it gets colder or during the monsoons. Besides these, sneezing can also be triggered due toВ allergiesВ or excessive consumption of drugs. Sneezing may also happen due to a certain viral infection. What are the symptoms of Sneezing? Some of the most common symptoms of sneezing include runny noseВ andВ coughing. 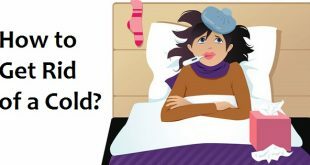 In some cases, fever is also reported by many patients. Some of the people may even experience tiredness andВ headache. This is accompanied with discomforts and prevents you from performing daily activities. Other symptoms includeВ appetite lossВ and pain in the nose due to continuous sneezing. 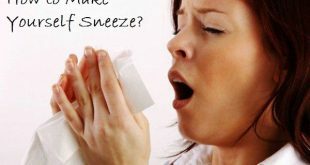 How To Stop Sneezing Naturally? When people sneeze, they often tend to think that sickness is the cause. As a result, people look for antibiotics immediately in order to treat the cause. However, they need to understand that medication does not always work. Even if it works, it is not a recommended remedy as it may prove harmful for your health. Nowadays, people often prefer antibiotics in order to treat various illnesses and same is with sneezing. But, there are people who prefer natural home remedies to stop sneezing. This is because home remedies are all natural and also have no side effect on your body. This indeed has intended to increase the popularity ofВ home remediesВ to stop sneezing and various other health issues. There are countless myths attached to the problem of sneezing. People tend to believe that if your sneeze, someone is thinking of you. In the northern region of India, if you sneeze once before leaving your house, it is considered a sign of bad luck and then you are asked to wait for a while. And in case you sneezed twice, nothing happens. Well, folks please do not really rely on these myths. Because you never know who created them or in what circumstances were they created. 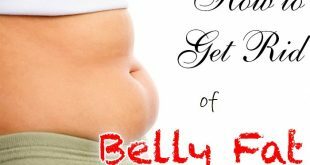 Just believe to the scientific reasons as far as your health just considered. So, as we have discussed a lot about sneezing, its causing, symptoms and related myths. 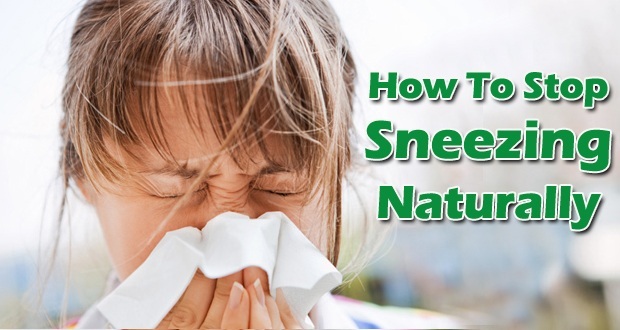 Now, it is time to learn about the natural home remedies to stop sneezing. Here’s our guide to stop sneezing and avoid getting into awkward and embarrassing situations of continuous sneezing whilst an important conversation. 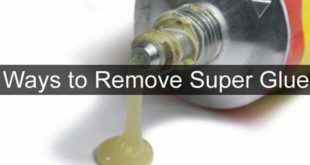 Take a look below at the top most effective home remedies to stop sneezingВ which you can easily try at home in order to get rid and stop sneezing. Taking steam is of the simplest remedies on the list of natural home remedies to stop sneezing. It also helps to reduce the irritations in your nasal passage when your try inhaling the steam. Also this is an easy to do remedy to stop sneezing, which can be performed by almost anyone in the house except for kids. It wonвЂ™t even ask you to spend bucks and can almost be done in free. No special ingredient but water is used in this remedy which tops the list of simple and natural home remedies to stop sneezing. Prepare a bowl of boiling water.В Put your head over the bowl carefully.В Make sure that the head is covered well so that the steam does not escape. В Now, try to inhale the steam for like 15-20 minutes.В You can cover your head with a soft towel or a clean wash cloth. 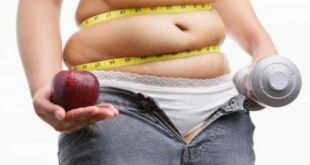 Follow this method thrice a day without worrying about the costs. After several days of following the remedy, you will tend to feel better. In addition toВ constant sneezing treatments, steam is a good alternative to helpВ get rid of water out of your ears and clean pores which can result into acne or blackheads. Peppermint oil yet another natural and best home remedy to stop sneezing. The oil is known to be as one of the most effective home remedies for sneezing. Proper and regular use of peppermint oil will help you to get rid of sneezing easily and faster. 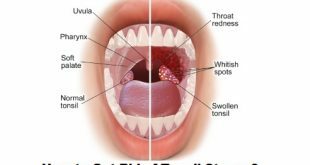 This is effective because the oil is known to have a lot of antibacterial properties that can stop the growth of virus causing sneezing and can also hel0p to clean out the irritants in the nasal passage that triggers sneezing. Boil water and mix a few drops of peppermint oil into it.В Put in into a bowl as use it the similar manner as you have learnt to take steam.В Inhale the steam from the mixture. Remember to cover your head so that steam does not escape. Here comes another best home remedy on the list to stop sneezing. Salt can be seen as one of the best home remedies to stop sneezing. This is because of the antibacterial properties of salt which help to fight the bacterial/viral cause and help to stop sneezing easily. Salt can help to relieve the pain caused in both the nose and the throat due to continuous sneezing. Mix a few teaspoons of salt into a bowl or a glass of warm water.В Use this mixture to gargle 4 to 5 times on a day, regularly.В Follow this for around several days in order to stop sneezing. 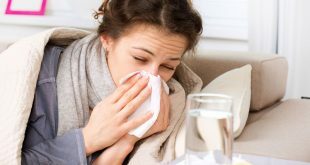 Cold season and flu is considered as the key trigger responsible for the cases of sneezing. Therefore, it is logical to take the help of natural remedies that are warm so that the body can be provided with the lost heat.В HoneyВ is considered naturally warm, and this warmth is helpful for the treatment of continuous sneezing. It is also safe to be used for children. Take a tablespoon of war organic honey.В Put it over the flame and heat for less than a minute.В Now, mix in it some black pepper powder.В Consume this mixture twice a day and follow regularly for several days in order to stop sneezing. Another alternative to make the use of honey in order to get rid of sneezing naturally is to pair it with lemon juice. The richness of vitamin C present in lemons will help you overcome the irritating conditions caused due to sneezing. People have been using garlic over years in order to prevent and increase the resistance of your body to cold and other health related problems, sneezing being one of them. It will only take you about 5 minutes to prepare the remedy as prescribed, and the results will be longer effective. This is the reason whyВ garlic is considered as one of the worldвЂ™s healthiest foods. 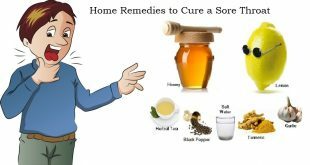 It is also a natural home remedy for runny nose and to stop sneezing. Take 2 to 3 freshly peeled garlic cloves.В Crush them well. After that, mix it with hot water. You should use about two cups of water.В The mixture should be simmered in about 15 minutes before being strained.В When the mixture becomes cooler, you can drink it to get rid of sneezing quickly. Red onion which is also known as purple onion is yet another one of the most popular home remedies used to stop sneezing. Onions are used in almost every restaurant and households for various cooking recipes, but its health benefits should never be underestimated. Onions have natural anti-inflammatory properties. This will help to prevent swelling in the nose and eliminate the irritants from the nasal passage. You need to finely chop a red onion.В Put them into a bowl and pour a few spoons of raw organic honey into it.В Refrigerate this mixture overnight.В First thing in the morning is to consume these onions.В Repeat the remedy regularly until you witness effective results. Ginger is yet another perfect help onВ how toВ cure and stop sneezing. The treatment to stop sneezing will finish earlier when you are planning to takeВ the help of ginger. Ginger helps to provide the body with many essential nutrients. This initiates a better healing process andВ also helps to get rid of the irritants that are stuck in the nasal passage. 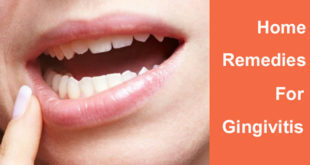 The best way to utilize all the essential benefits of ginger is to have the ginger root raw. In case you donвЂ™t like the taste of ginger, then you can chop a ginger root into small slices and add them to water to give a quick boil. Now, drink this mixture made from ginger slices and water if you want to stop sneezing. Did not find any perfect home remedy to stop sneezing; well donвЂ™t worry because our list is still long enough to help out no matter what. For the all-natural home remedies to stop sneezing, chamomile tea is what people usually recommend. Consumption of chamomile tea on a regular basis proves to be very good and beneficial for various health and sleep related issues. It is not just about sneezing but the overall effect which it has on your body. Another advantage of using chamomile tea is that it is easy to prepare and does not involves much fuss. Take some dried chamomile flowers and boil them in a pot of water for around a good 10-15 minutes.В Steep the tea and then strain it into a cup or mug.В Add a few teaspoons of honey for extra. Also this will maximize the benefits as two beneficial ingredients are being used.В Consume this tea 2-3 times a day in order to stop sneezing. The all natural antibiotic properties present in fennel makes it as one of the beneficial home remedies to stop sneezing. Fennel tea can also be used as a drug for sneezing and is also a helpful tip to get rid of cold and runny nose. Being an all-natural remedy, fennel has no side effects on your body and it proves to be a wonderful cure when dealing with cold, runny nose or sneezing. В Fennel is a wonderful herb and one of the best known natural home remedy. Boil 2-3 teaspoons of fennel seats in a pot of water. Steep it for a good 15 minutes and then strainВ Have the seeds and consume the water.В Repeat this twice daily if you want to stop sneezing fast. Gere comes yet another wonderful remedy when you want to get rid of the continuous sneezing that is irritating you for several days. Not only sneezing but lavender also helps to boost the immune system. The essential oil will prevent prevent the re-attack of the virus which can cause sneezing. You can easily apply a few drops of lavender oil directly into the entry of your nose. Applying the oil will control sneezing and will also help you to get rid of a runny nose. Sesame seeds are known to have impressive health benefits and it can help effectively when trying to stop sneezing. The reason behind their effectiveness is that sesame seedsВ contain a considerable amount of magnesium. This plays a key role in the improvement of the respiratory system. Thus, the use of sesame seeds can speed up the healing process and also tends to get rid of irritants that cause sneezing. Roast an amount of sesame seeds.В Pour in an amount of jiggery in the same ration.В Mix the ingredients well and then have this 2-3 times a day.В This will help your to treat cold and stop sneezing. 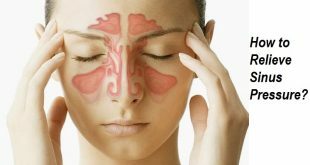 Essential oils are known to be effective for nasal problems like sneezing. 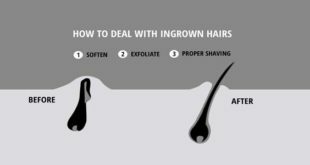 This is because the oil is known to have natural antibacterial and antibiotic properties. This will make it as an effective natural remedy to stop sneezing. Also, oregano oil is a rich source of all the nutrients and most importantly, carvacrol and thymol. These are two unique ingredients present in oregano oil. They tend to contribute significantly to the treatment of nasal problems including sneezing. Use oregano oil along with juice, such as lemon juice or carrot juice.В Drink this juice mixture several times a day to stop sneezing. You may not like the taste but this ingredient is one of the most effective home remedies to stop sneezing. Use the leaves of this ingredient when trying to stop continuous sneezing. Simply put 5-6 bitter gourd leaves into water.В Leave this for a couple of hours. After several hours, take them out and squeeze.В Keep the water and add honey to it in order to improve the taste.В Honey will also help to add extra nutrients to the benefits of bitter guard leaves.В Consume this mixture several times each day to stop sneezing. 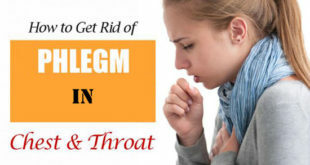 Vitamin C is considered as one of the best home remedies among instant home remedies to stop sneezing. It plays a significant role in helping to control continuous sneezing. It can also prevent cold, which is one of the most common triggers for excessive sneezing. Therefore, it is recommended that you consume more food with a remarkable amount of vitamin C present in them. These include fruits or vegetables. This may sound simple but pepper can be the solution to stop sneezing and also a runny nose. All you need to do is to:В Mix 1, ВЅ В tablespoons of pepper powder with a glass of lukewarm water.В Drink this pepper and water solution thrice a day.В In addition to this, you can also try gargling with warm water mixed with pepper. This will help to get rid of cold viruses and germs.В You can also have the soups and salads mixed with black pepper which is used as a seasoning for extra flavor. GooseberryВ is yet another effective home remedy which will help you to get rid and stop sneezing easily. It is known to be a great source of antioxidants and anti-bacterial properties. This will help to build up the immunity and gives a stronger immune system. Gooseberry can be easily consumed in various forms like in the form of a juice or eaten fresh. Having gooseberry two to three times a day instantly helps to control continuous sneezing. You must have witnessed this ingredient in your kitchenвЂ™s spice section but there are various health benefits of consuming black cardamoms. This aromatic spice is commonly used in Indian recipes. We advise you to chew black cardamom two to three times a day in order to get rid of sneezing. The oil of black cardamom is known to normalize the mucous flow through the respiratory tract. In order to use it, you can simply massage the oil and it will help to control the sneezing. Ayurveda can simply leave no chance to be mentioned in the list if natural remedies. The churna is an Ayurvedic medicine, which is known to have anti-histamine properties. The remedy is popularly used to cure congestion and is believed to treat respiratory/nasal issues. To use it, mix one teaspoon of honey with half teaspoon of sitopaladi churna powder. Consume this mixture 2-3 times a day in order to feel better and stop sneezing. A number of things are known to trigger sneezing, which tend to irritate and inflame the nasal passage. The more inflamed your nasal passages are, the more you will sneeze. While there are various over-the-counter medications which can help you to stop sneezing. Many even have side effects on your body such as drowsiness or allergies. 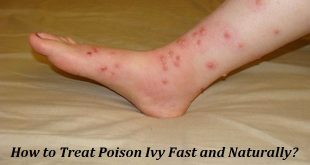 This is the reason why we always promote the use of natural remedies. Sip on a cup of nettle tea or take nettle supplements to stop sneezing. The supplements are available in capsule form at any of the nearby health food stores. Nettle will help to relieve congestion in the throat and nasal passage. It also helps to soothe the nose itchiness which might be a cause of sneezing. Take a natural antihistamine in order to help stop sneezing. Sneezing is usually an immune response which is caused due to an excess of histamine in the body. Vitamin C is a natural antihistamine as mentioned earlier in the article. So drinking lots of natural citrus fruit juices, including orange and grapefruit will help you to fight the cause and stop sneezing. You can also buy quercetin supplements at your local pharmacy or health food store when trying to stop continuous sneezing. Quercetin is known to be a natural flavonoid present in apples, black tea, red onions, tomatoes and various other food items. 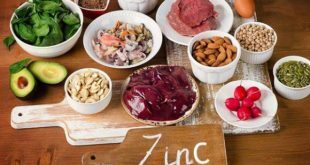 In case you cannot find quercetin supplements, you can also eat foods that contain this compound. Quercetin is helpful because it keeps the body from producing histamine. Next How to Cure Hangover?